Apart from helping clients to compile and organize the best trip, our guides are the most important persons in the company! So in 2009 we started to educate our guides ourselves. We teach them in wildlife spotting, tourism, general knowledge about their country, safe driving and how to handle different types of clients in a good way. Felex was rewarded by the government of Uganda for this subject in 2010. So we can truly say: Our guides speak fluent English, are very skilled and helpful and have excellent knowledge about their country and wildlife. We also employ German, French, Spanish and Dutch speaking guides. We are ready to give you the best safari adventure possible! We use our own 4WD custom made safari vehicles with a roof that completely opens to provide a 360 degree view, ideal for safaris. 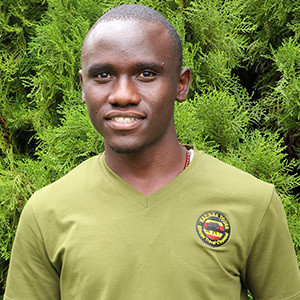 Felex Musinguzi is one of the co-founders of Kazinga Tours and Managing Director of the Uganda office. Felex his passion is to give clients the best possible holiday experience, within their interest, budget and time. Felex and Kazinga Tours’ aim is to make al the clients we receive very happy. Felex his story is remarkable: Felex was born in a small village near Lake Bunyonyi. It was difficult to pay all the school fees, but from an age of 14, he was supported by an American lady, whose son visited Uganda. She paid for his school fees until Felex graduated for his University study in Tourism. After that Felex started his own company, together with Vincent from the Netherlands, and the rest is history. Apart from organizing fantastic trips for our clients, Felex also wants the local communities and people of Uganda to benefit from Kazinga Tours. 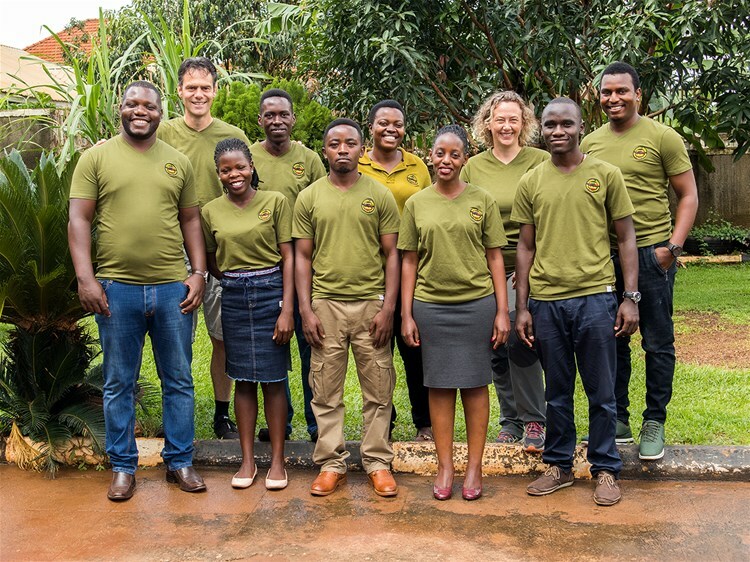 So Felex made sure local communities were supported and Felex did also set up a training program for guides, where many of today’s guides from Kazinga Tours were trained from. 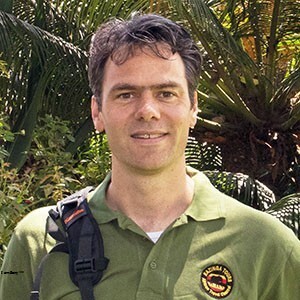 Vincent van ‘t Hof from the Netherlands is one of the co-founders of Kazinga Tours and he is our Wildlife Photographer. Vincent made wildlife photos in all continents of the world, but kept on coming back to the best continent for wildlife: Afrika. And in June 2006, Vincent was in Uganda were he met Felex Musinguzi. Together they started Kazinga Tours and the rest is history. Vincent also gives workshops about Photography and Wildlife Photography and his knowledge is put in Kazinga’s standard trips to make sure people can make the best photos during these trips. Romeo Klüger from Germany has a big track record in tourism. He is selling and organizing trips to various destinations for over 25 years. Romeo is specialist in compiling special trips, including different locations and countries and or for specific goals. Romeo speaks English, Romanian and German, so German speaking clients can communicate with him in their local language. Romeo joined Kazinga Tours in 2008. Romeo fell in love with Africa during his first trip to Kenya in 2006. And ever since then, to visit Africa is always special and interesting, even after visiting for over 15 times. Romeo’s passion is wildlife and nature. Patricia Hoeve is our Office Manager in the Netherlands. Patricia fell in love with Africa, its wildlife, sceneries and very friendly people. Patricia joined the Kazinga team in 2013 and Uganda, Rwanda and Tanzania several times since then. Patricia is specialist in compiling interesting tours. Patricia is a also a nature lover and her passion is to make photos of wildlife, landscapes and the local people. Apart from English Patricia also speaks Dutch, so our Dutch speaking clients can also email her in their native language. Patricia is responsible for Marketing and Operations and does sales, in particular for our Dutch speaking clients. Apart from that Patricia is also the webmaster for our nice website. Edmand Twakiire is our Senior Tour Consultant in the Uganda Office. Ask him anything about Uganda, Uganda’s Wildlife, Destinations or People and he know the answer and he can arrange it for you. Edmand is a Ugandan born citizen who has travelled throughout Uganda and Rwanda so when you are talking to him you get firsthand information. He is also an Iata/Uftaa travel consultant (licensed to make bookings in various booking systems). 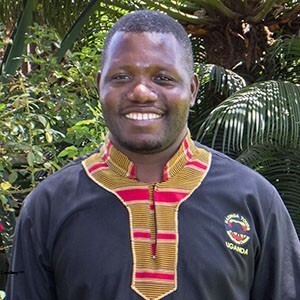 Edmand has a remarkable story: he is one of the beneficiaries of the Kazinga Tours community tourism initiative. He was lucky to meet one of our clients from USA, who had gone to see the Gorillas in Edmand’s home Village near Bwindi. She paid his School Fees and Kazinga Tours recruited him in 2015, after he proved that he was able to fit in our team. Once again an example it does make the difference when you support someone! Not many people are closer to the gorillas than Edmand: His father is one of the first rangers who habituated the gorillas. And while his father was in the jungle of Bwindi, Edmand’s mother had gone to do farming near Bwindi, while she was pregnant of Edmand. At the moment the gorillas were very near, Edmand’s mother gave birth to Edmand. And because of the gorillas, the rangers were also nearby. They helped Edmand’s mother delivering and helped to carry baby Edmand back to the village. A unique story! Penelope Ikiriza is our Senior Sales Manager, specialized in Tanzania. Penny is a Ugandan citizen and lived in Tanzania for 7 years, where she worked as Tourl Consultant. So Penny has more than 7 years’ experience in selling and organizing trips to Tanzania. Apart from Tanzania, she also traveled through Uganda and Rwanda many times, so we can say she is our East Africa specialist. 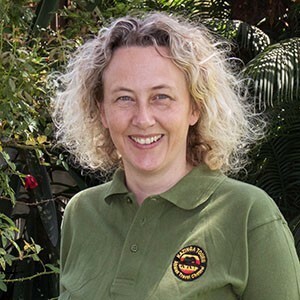 Penny is passionate and knowledgeable about wildlife safaris, as well in diverse cultures within East Africa. She will help you put together your dream Africa holiday at an affordable price. Penny will advise you on the best package that suits your needs and budget. Overall, Penny will ensure that you have an adventurous, satisfactory and memorable trip. 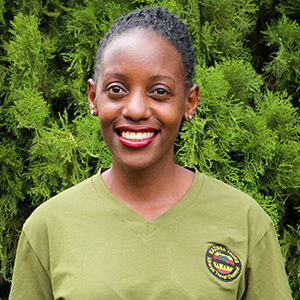 Mariam Nakirija first joined Kazinga Tours as a trainee in 2015 and 2016, as part of the Kazinga Tours Trainee Program. Mariam was one of the best trainees, so eager to learn and hardworking. Only satisfied when a job was done really well. So in 2017, we were very happy she joined the Kazinga Tours team! Mariam started as Reservations Officer. She organized all trips, and in case there was no availability for one of our clients, she did not rest until she had found a good solution. And during these years, Mariam took the opportunity to travel a lot through Uganda and Rwanda. 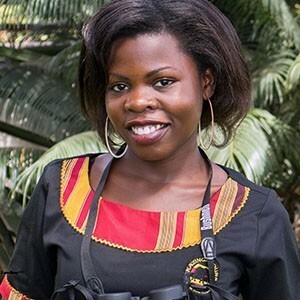 After her graduation in 2018, Mariam joined the Kazinga Tours sales team in 2018. Mariam is now responsible for client inquiries and packages to Uganda and Rwanda. Mariam’s passion is traveling. She loves going on safari, visiting new countries and destinations, and meeting and interacting with people of different cultures. It makes Mariam very happy when she sees prospects turn into happy clients! So send her an inquiry and she gets on it right away! Sebastian Imaniragaba is our Finances Manager (Accountant). Sebastian is born in Rwanda, but Ugandan by Nationality. Sebastian speaks fluent English, simple French and good Luganda (Native language). Sebastian trusts his intuition and is always true to himself by speaking up for the things that matter to him. Sebastian is good at letting people know that they matter by being there for them, making plans with them and setting aside time for relationships. So Sebastian fully enjoys his job in Kazinga Tours, where he arranges the gorilla permits, chimpanzee permits and all finances. Sebastian is interested in photography, meeting new people and he loves travelling to new destinations. Dennis Ntanda from Uganda is our Reservations Manager. He is the one who arranges these beautiful trips with the lodges and other providers. 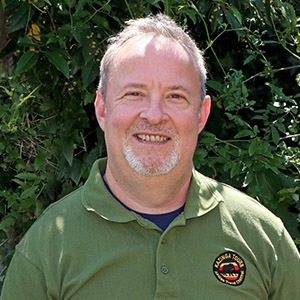 Dennis has an endless passion for tourism and he seeks to inspire clients, workmates and other counterparts to look beyond their intended destinations. For Dennis it is important that the clients feel at home during their stay in Uganda, Rwanda, Tanzania and Congo. 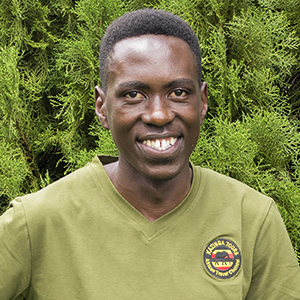 Dennis started as a trainee in Kazinga Tours in 2017 and after getting some experience it turned out he was very focused and eager to learn. So we happily recruited him as our Reservations Manager in Kazinga Tours. Dennis is interested in trying out new things, travelling to new destinations and assisting the people in need with the resources in his limit. Lucky Tusiime is our Social Media and IT- Specialist, he is the one who posts very nice photos and videos on Facebook and Instagram daily. 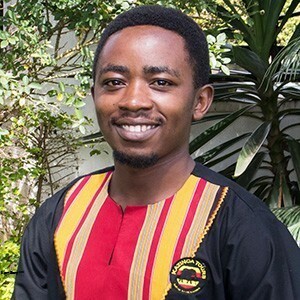 In his role, Lucky is responsible for devising and implementing the online marketing strategy, repairing and maintaining computer systems, and managing the social media for the company. Lucky speaks English and Kiswahili. For any quick inquiries, reach him through any of our Social Media platforms. Lucky’s aim is to become a fully equipped and knowledgeable Multimedia Specialist, including photography and videography skills. Lucky is one of the beneficiaries of the Kazinga Tours community tourism initiative. Lucky met one of our Kazinga clients from Austria. She was impressed by his eagerness to learn. She paid his School Fees at University and Kazinga Tours recruited him in 2017, after he proved that he was able to fit in our team. Once again an example it does make the difference when you support someone! They were both really nature lovers and really interested in showing the country to other people. So Kazinga Tours developed a working method to give clients the WOW effect after a trip. Not just show them the country and wildlife, but really do the best for every client, within the time scale, budget and interest of the client. Including contact with the local People of Uganda. 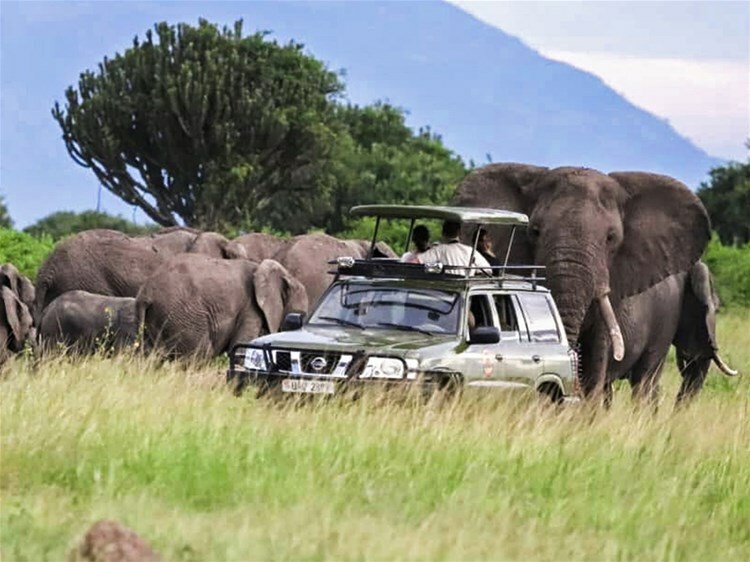 Kazinga Tours became very successful with this approach and within a few years Kazinga Tours was among the biggest and best Travel Companies in Uganda. In 2007 Rwanda was added to the portfolio and in 2009 Tanzania was added to the portfolio of Kazinga Tours, bringing in 1 new partner, Romeo Klueger from Germany. Kazinga Tours was started in 2006 by Felex Musinguzi from Uganda and Vincent van ‘t Hof from the Netherlands. 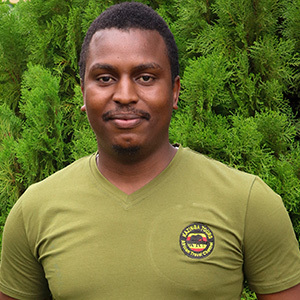 Felex studied Tourism at the Nkumba University in Entebbe and is a specialist in tourism and in Uganda and Rwanda. Vincent is a fanatic Wildlife photographer who studied Business Administration in the Netherlands. Vincent traveled all over the world to make Wildlife Photographs. The best place in the world to do so is East Africa. And this is what Vincent brought to Uganda. During Vincent’s trip to Uganda in 2006 he met Felex, who was the driver/guide. Right away Vincent noticed Felex was very serious and knowledgeable. The car and trip were organized by another company. The trip was okay, but could be done so much better. The vehicle was not the best for safaris and the program did not bring all the things Vincent wanted to see as a wildlife photographer. Luckily the excellent driver guide (Felex) did his very best to change the trip and make the best out of it. Felex and Vincent had a lot of time to talk with each other and their ideas about tourism where the same. During the trip they decided to start a new company together, Kazinga Tours! This company should be different than other companies. Uganda is a great destination and every trip for every client should be the best trip, depending on their interest, time and budget. This is what they brought into practice. And with success, within a few years Uganda was among the best and biggest companies in Uganda. Felex originally comes from Southern Uganda, Kabale region. So to add Rwanda to the portfolio was a logical next step. So in February 2007 Felex and Vincent did their first fam. trip to Rwanda. This trip was a success and Rwanda was added as a destination. During trip we met Vincent from Rwanda, who is our representative there. Vincent from Rwanda is based in Kigali. During this trip Vincent from The Netherlands was also present at the baptism of Felex his daughter. In 2008 Felex and Vincent met Romeo Klueger from Germany. Romeo added Uganda and Rwanda to his portfolio of trips and began to sell it successfully to the German market. In 2009 Felex, Vincent and Romeo went to Tanzania for a fam trip. Tanzania was a great destination to add to the Kazinga Tours Portfolio. Kazinga Tours developed itself into real specialists of these 3 countries: Uganda, Rwanda and Tanzania. We all went around these countries many times to make sure we could offer the best in our trips for clients. And Vincent as a fanatic Wildlife Photographer went to all corners of these countries to make good photos to show our clients what to expect. Kazinga Tours Ltd. is a Ugandan Tours and Safari Company established to deliver an enriching responsible African holiday experience for their customers, with offices in Uganda, Germany and the Netherlands. Kazinga Tours Ltd. cares about preserving the environment and natural resources, respects local customs and practices, cares about the needs of the local people and wants to give their customers more than the average package deal. Kazinga Tours Ltd. values good customer care, integrity and honesty, credibility, reliability, safety, quality service, enthusiasm and accessibility. Kazinga Tours Ltd. only uses custom designed safari vehicles, ideal for safaris and comfort for driving on safari roads. The tours and safaris we offer give you access to the most beautiful parts of Uganda, Rwanda and Tanzania. 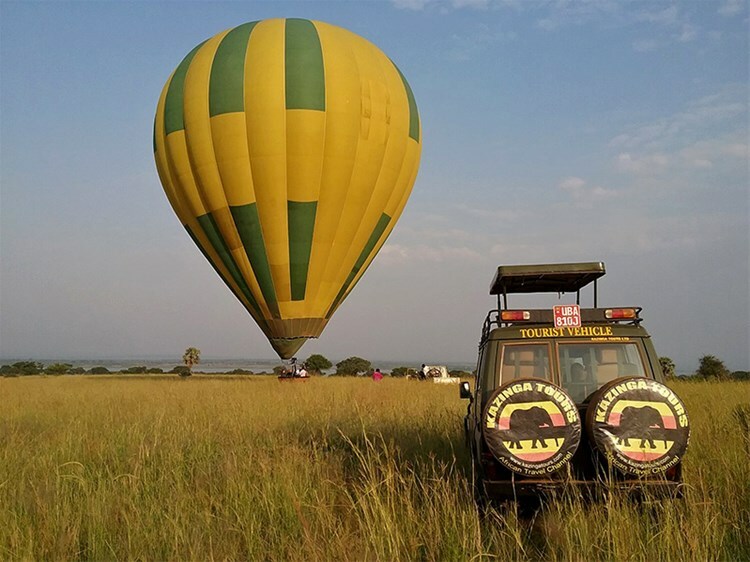 Whether it is a luxury lodge safari, staying in the best accommodations this part of the world has to offer or one of our budget trips that stay in thatched style rooms or even camping in some of the most scenic sites under the great African sky, we will make your safari a very memorable time. Kazinga Tours was rewarded by the Tourism Board for training their own staff and guides. Please do not hesitate to inquire about our Tours or Tailor made safaris, we are always happy to help any Traveler/tourist and researcher who wants to know about Uganda, Rwanda and/or Tanzania. We also give free travel information to anybody inquiring.